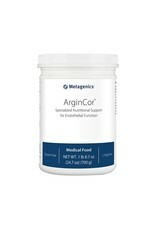 ArginCor® is a medical food formulated to provide specialized nutritional support for endothelial function, wound care and blood flow*. 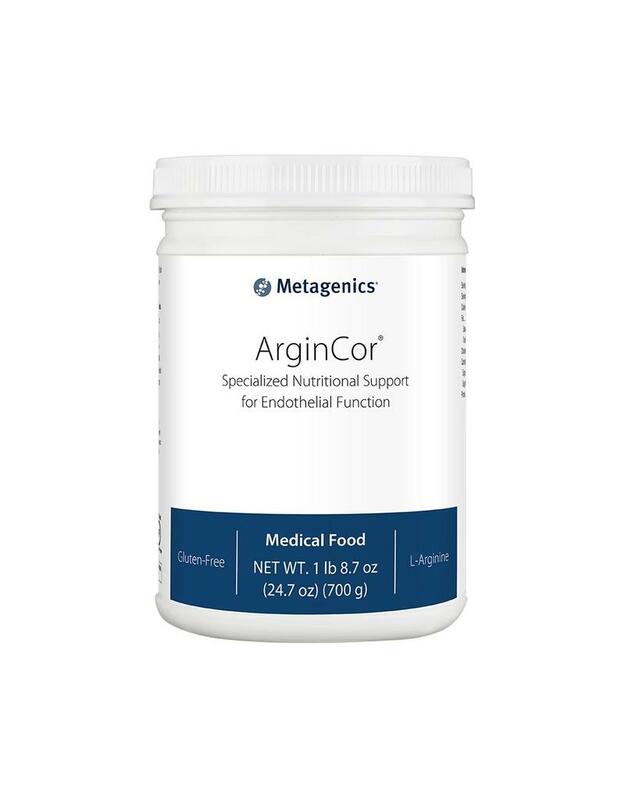 It provides high quality L-arginine to support wound healing through improved blood flow*. 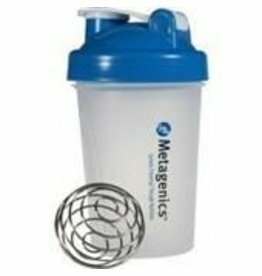 Other Ingredients: Fructose, L-arginine, citric acid, sorbitol, beet powder, magnesium citrate, natural flavors, silica, xanthan gum, guar gum, glycine, thiamin mononitrate, and calcium L-5-methyltetrahydrofolate. Contents sold by weight, not volume. Some settling may occur during shipping and handling. Serving size is measured by weight with a scoop included for your convenience. The amount of product contained in 2 scoops may be above or below 25 grams due to variations in handling and product density.